Who says that a ponytail is a girl-next-door hair-do? Gabrielle Union left us mesmerized with a mid-height, slightly undone yet polished ponytail at the Oscars. It was a perfect example of how you can pair casual hair even with dressed-up makeup and clothing. Natural or fake, corkscrew curls are a definite “in” this year. If you already have slightly wavy or curly hair, these babies will be your best friend. For straighter hair, the look is a bit ambitious but can be achieved with a small curling wand and lots of hairspray! All in all, luscious locks curled to a spiral perfection spell fabulous! 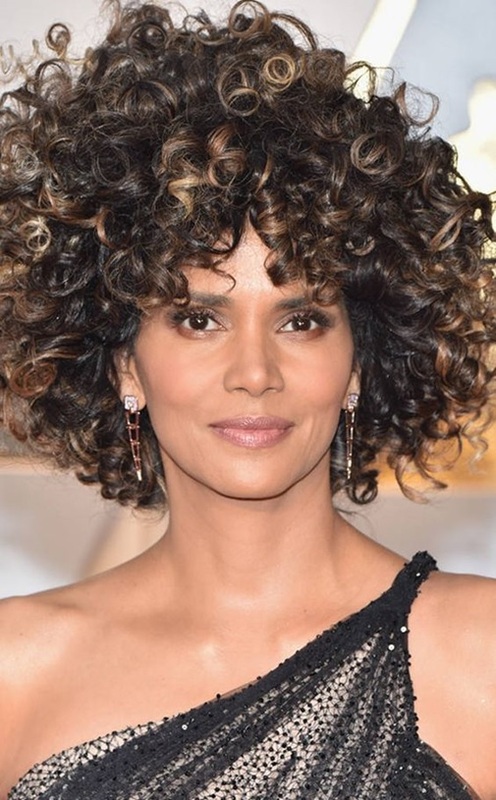 Miss Halle berry let her head full of healthy brown curls take centre stage at the Academy Awards this year. The lob is one cut that looks universally flattering on almost all hair types. 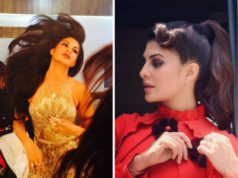 It is one of those hairstyles that have stood the test of times and trends. Even though it’s short, it is very versatile and can be jazzed up easily. While you were busy wiping your tears during Viola Davis’s Oscar speech, you might have missed Nina Dobrev and her cool, edgy new haircut which she debuted at the 2017 Oscars Vanity Fair After Party. Here’s a look. Jessica Biel was sophistication personified this year at the Academy Awards. The actress’ brunette hair was separated sleekly at the centre and pulled back into a low, polished take on the chignon – with not a single hair astray. This hot new hair-do is going to begin its reign this year. 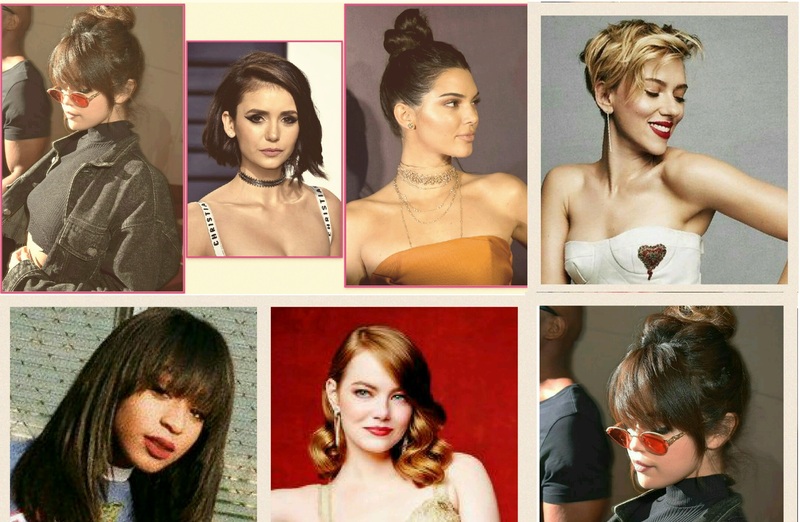 While it may always be associated with the ‘70s, the modern update of the cut as recently seen on celebs like Amber Heard, Taylor Swift and Chloe Grace Moretz, is so effortlessly chic. The 2017 upgrade hits at the level of the collar bone, or just below, with bangs that softly frame the face – but can also work with a full fringe like Swift’s, or no bangs at all.